Mid Penn Bank is a community bank with a branch located right on Front Street in Harrisburg, PA. If you live or work in the area, we can provide the advice and services needed to build your finances. Thousands of our neighbors in Harrisburg, Dauphin County, and across Pennsylvania have already chosen us because of our exceptional products and services. Mid Penn Bank is fully committed to providing personalized service, community support and comprehensive financial options. We proudly offer customized solutions to meet our customers’ needs. We offer a portfolio of services and products for individuals and businesses. For personal banking customers, we offer home equity loans, mortgage products, personal loans, deposit products, checking accounts and more. For our business customers, we offer commercial loans, SBA loans, cash management services and more. Whether you want to grow your money for retirement, save for education or open a business, our financial products will support your goals. Contact one of our friendly and knowledgeable team members to learn how to make the switch and to take advantage of our products and services. 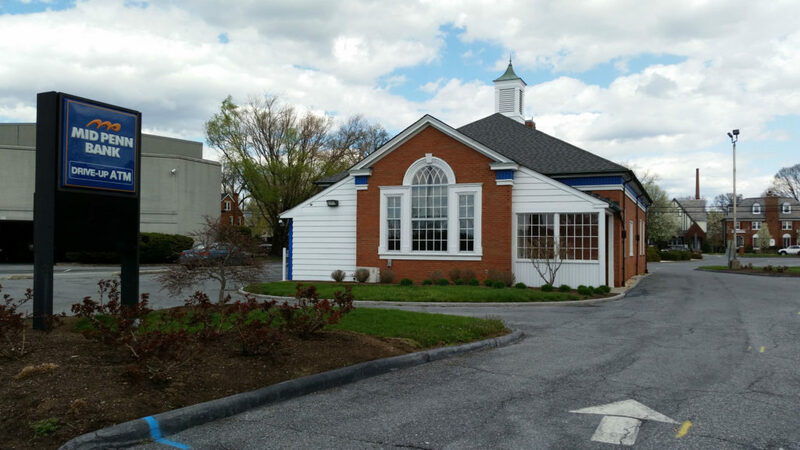 You can visit our Front Street branch in Harrisburg at 2615 North Front Street, Harrisburg, PA 17110 or call 717-233-7380.